After much ado, singer Neha Kakkar and actor Himansh Kohli confirmed their relationship on the sets of the television reality show Indian Idol, where Neha is one of the judges along with Vishal Dadlani and Anu Malik. Himansh, who had never confirmed his relationship with Neha decided to surprise his lady love and dropped by on the sets of the show. Needless to say, Neha was quite overwhelmed by Himansh's presence on the show. On Thursday, Himansh shared a picture of himself with Neha from the sets of the show, in which he can be seen embracing the singer. 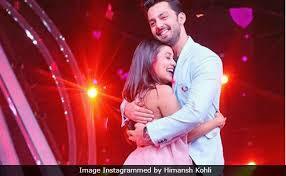 In his post, Himansh addressed Neha as a "cute little gem" and wrote: "On the sets of Indian Idol to surprise this cute little gem of a person, Neha Kakkar. Definitely, a time to remember for life." Himansh's post received over 72,000 likes on Instagram. During the show, Neha even hinted that she might consider consider getting married to the actor, stated a Mumbai Mirror report. A source associated to the show told Mumbai Mirror: "Comedian Sunil Grover, who was a guest on the show, was doing a fun segment called 'Neha's Swayamvar'. Himansh turned up during the segment along with host Paritosh Tripathi, and Neha noted that he understands her very well, adding, 'In the future when I think of getting married, he is going to be there in my mind." 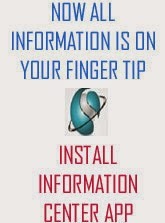 Much to everyone's surprise, Himansh responded by saying, "I was waiting for you to say that." Well if this isn't a hint, we don't know what is. During the show Himansh and Neha even performed to the song Oh Humsafar. Interestingly, the original video also features the couple and it has been sung by Neha herself. Neha Kakkar is a Bollywood singer, who is best-known for singing tracks such as Dilbarredux, Manali Trance, Bhangda Ta Sajda and Kala Chashma among others. She has also featured as a judge in several singing reality shows. Himansh Kohli has featured in films such as Yaariyan, Jeena Isi Ka Naam Haiand Sweetiee Weds NRI. Himansh made his acting debut with Humse Hai Liife.